Your message will get more mileage out of this imprinted calendar! 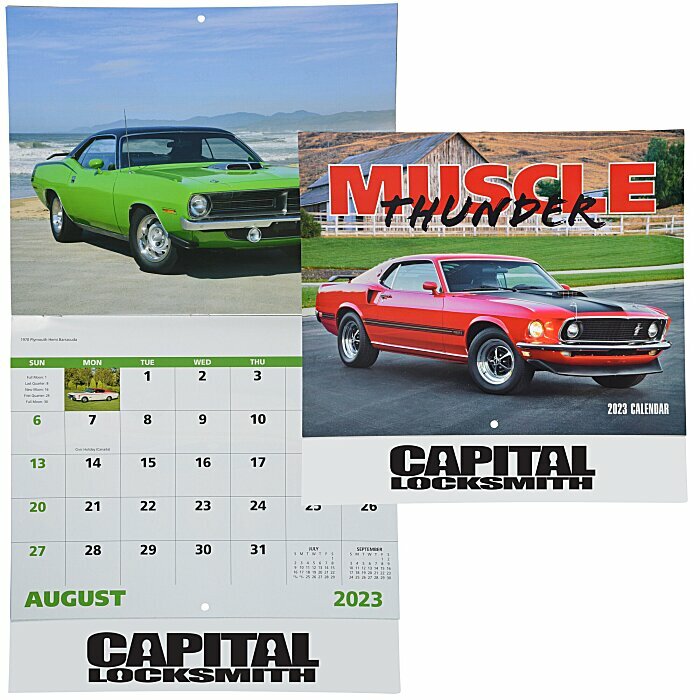 Staple-bound calendar features gratifying full-color photography of classic muscle cars. The macho 13-month calendar clearly identifies holidays and other special remembrances. Size, open: 19" x 10-7/8"
For spiral-bound calendar, see item #111994-SPMuscle Thunder Calendar - Spiral; for the calendar with imprinted window, see item #similar item search 111994-WD. Your price includes a one-color imprint on the bottom of the calendar.